← Thursday is Almost Friday! And a cocktail recipe! Today is Friday, which brings another post by my better half. he is really awesome and sends me little photos and does nice things all the time- but that doesn’t mean he isn’t a little quirky. He sent me this photo- which believe me,if anyone did this thinking, “gee Kristina likes to eat healthy, maybe I shall substitute some buttery goodness with a large watermelon piece” – knowing it would make me laugh. I LOVE CAKE. 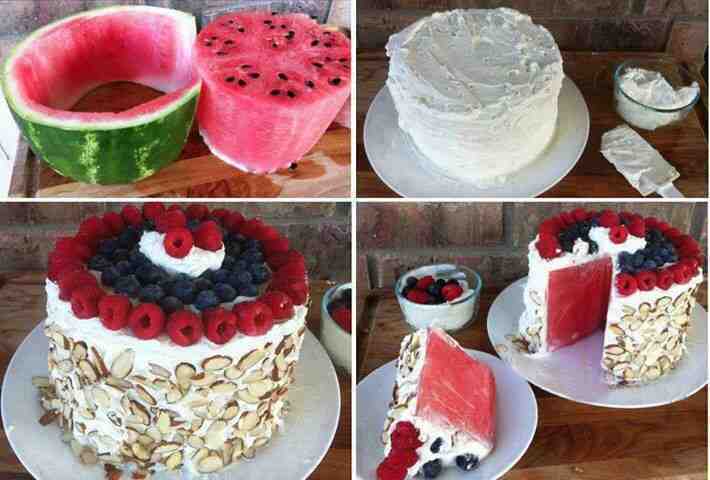 a WATERMELON is not a cake. If anyone attempts to fake me out like that, we will not be friends anymore. A little disclaimer concerning Mike’s Friday post: I am not nearly as adventurous when it comes to these things- and I HATED when he made the snake (seriously). I do not endorse or condone eating anything endangered or raised inhumanely. To our knowledge, none of the animals Mike has eaten have been procured illegally. Some of these have been better than others. So, the Burmese Python…. 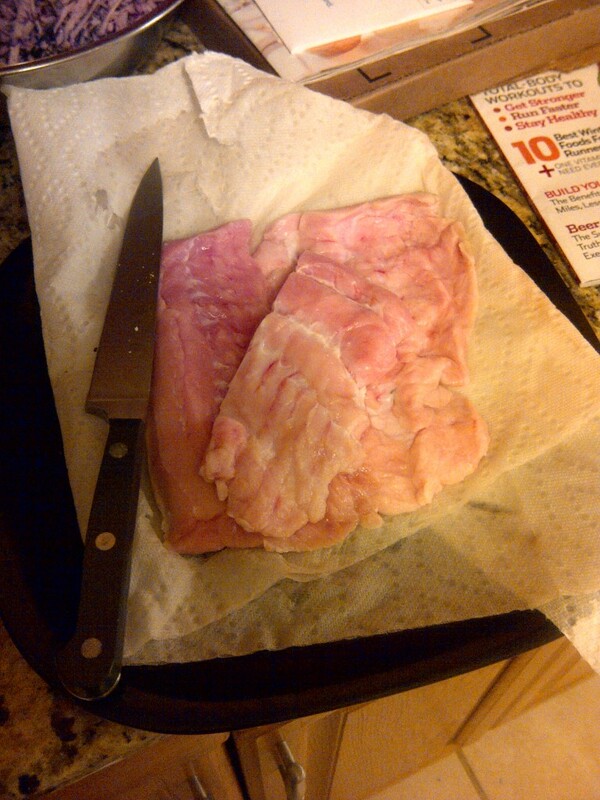 I found this morsel in the ‘wacky meats’ bin of the freezer on a local butcher shop. It came as boneless fillets, they had the texture of an extremely firm white fish. So, having never eaten a python before, fish-and-chips came to mind. 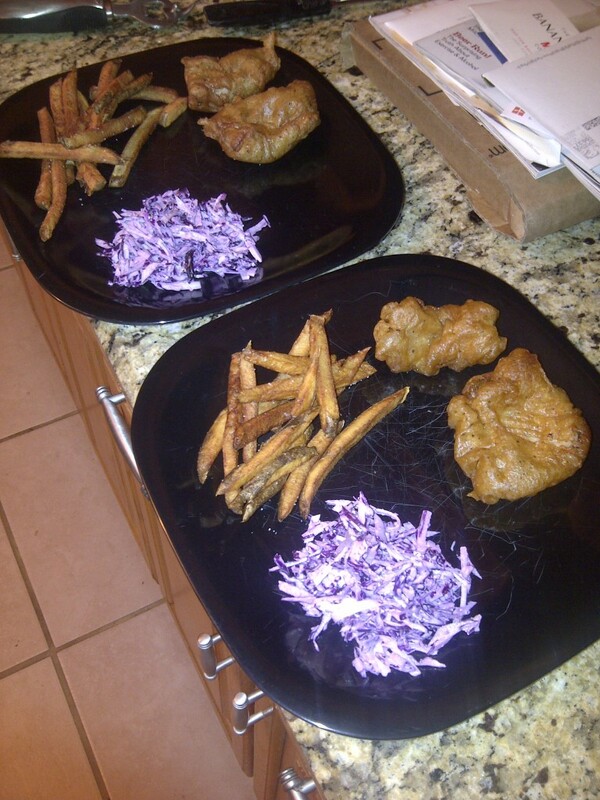 I made a really nice beer batter, some proper homemade fries (fried twice at 250 and 350 degrees), and a red cabbage cole slaw. The fries were great. The snake? Terrible. So tough, it was almost impossible to chew. Kristina came home from a late night at the museum and concurred. Maybe next time I should consult with some snake food blogs. Or just grind it up and make it into a sausage. That’ll show it. The Llama on the other hand – great. 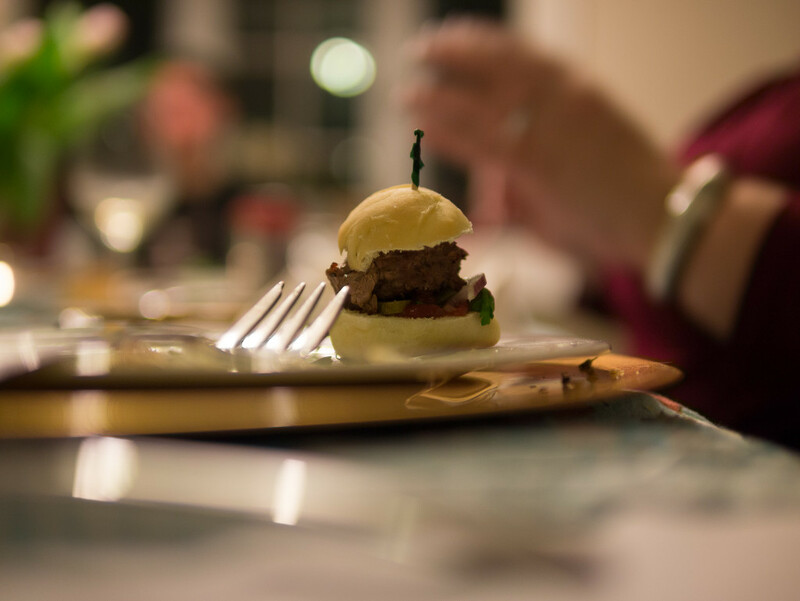 Turned a pound of ground llama into several dozen llama sliders for a tapas party (The slider buns post didn’t mention llama, did it?). They tasted a lot like beef sliders, and the guests, (who I did notify it was llama, in case anyone was abstaining from camelids), ate them right up. My other quest is cheese – I’ll try cheese from any exotic animal, though that is a lot harder to come by. Eleven years ago, Kristina got me a wedge of rare Tibetan Yak cheese, handcrafted by monks in Tibet. Firm, grassy, like a funky Parmesan – I still remember it. So if we didn’t already have enough reasons that Kristina is awesome, add that to the list – she’s been at this stuff a long time, and I’m always happy that she indulges me in all of my food exploration! Do you have any crazy meats or cheeses? Let me know, I would love to try some! This entry was posted in Guest Posts and tagged cheese, exotic meats, llama, python. Bookmark the permalink. I’ve eaten all of those except snake! Other weird meats include bear and kudu (a South African animal). The first I ate in Estonia, the second in South Africa. I love trying local delicacies and weird meats and cheeses!